Playing a theatre pipe organ takes a unique musical talent, and a lot of multi-tasking! 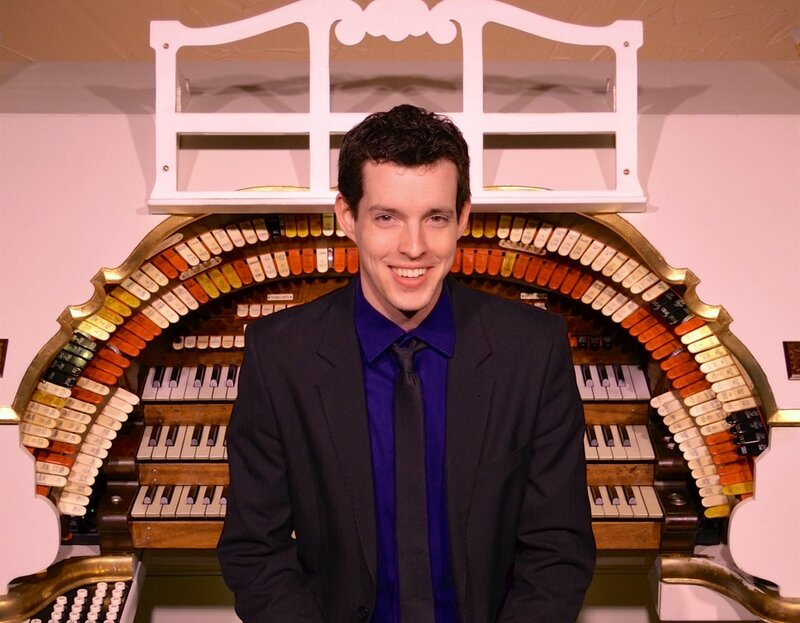 Organ Piper Pizza has been fortunate to feature a number of artists who possess this skill, read on to learn more about our current staff of Organists. Zach owes his interest in the theatre pipe organ to his parents, and also to a visit to Organ Piper Pizza when he was 5 years old (in 1992). 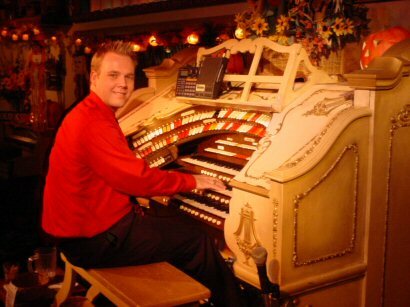 In addition to performing, Zach is a pipe organ technician and maintains the Organ Piper's Mighty Wurlitzer, he also has his own theatre pipe organ which he is in the process of restoring. Zach has a degree in Recording Technology from McNally Smith College of Music in St. Paul, MN. He and his wife, Emily reside in East Troy, WI, where he is also an active volunteer at the East Troy Railroad Museum. ​Perry attended the opening night of the Organ Piper. He began playing here at age 15, and has played here at various times since then. For the past 20 years he has been a regular pianist at Milwaukee’s Pfister Hotel. From a musical family, Perry’s father owned a music store and his great uncle played theatre pipe organs in Milwaukee movie theaters in the 1930’s. 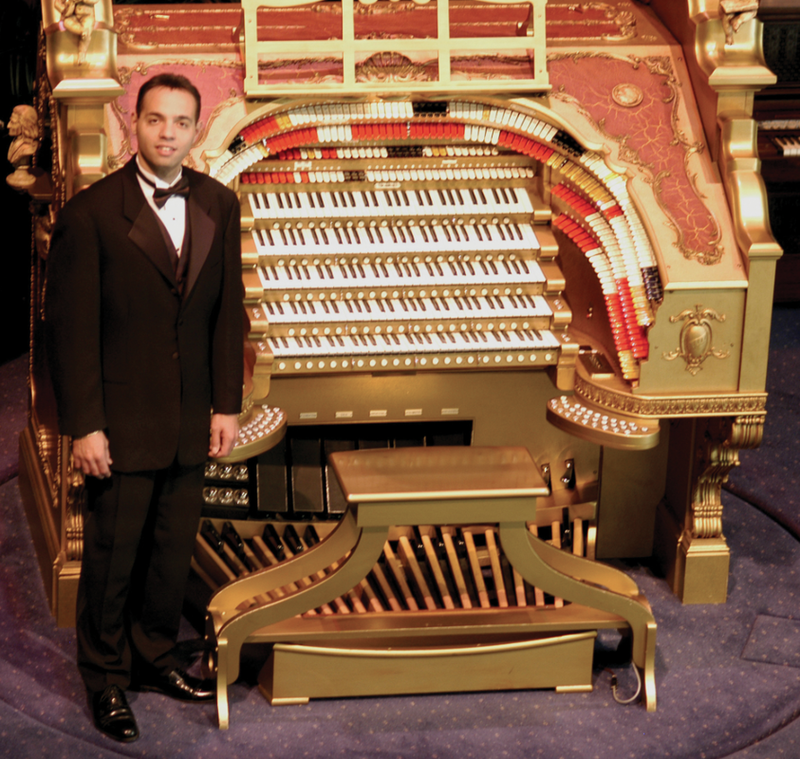 Heard by literally millions, Dean is the official organist for both the Milwaukee Brewers and the Milwaukee Admirals. He is the principal organist at Church of the Gesu in Milwaukee, WI, and also plays for many roller skating competitions around the country. Jelani was introduced to the theatre organ at the age of eight, and not long after, began studying theatre organ styling with internationally acclaimed theatre organ instructor John Ferguson. Over the years, Jelani has become one of the most sought-after artists on the circuit today. He was a featured organist here at Organ Piper Pizza in 1993-1994 and has now almost 20 recordings to his credit. Audiences here have always enjoyed the artistry of this young man and we hope you will too! 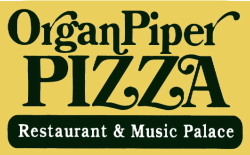 Since May 2002, Organ Piper Pizza features the Mighty Wurlitzer AND The New South Rampart Street Paraders on the first Wednesday of every month from 6:30 to 8:30! Besides the lively mix of music - guest artists and vocalists are a standard part of the musical fare. Special guest Lisa Edgar often appears for a special set that you sure don't want to miss! Bruce Yeo, John Knurr, Jim Christiaansen, Chuck Engberg, Greg Kalkoff, Pete Wood, and other special guests.